An antiques and jewellery store in San Diego has been targeted for trafficking illegal ivory. Yesterday (28 November) authorities seized more than 300 pieces of elephant and rhinoceros ivory worth $1.3m from the Carlton Gallery in La Jolla and a nearby storage facility. The owner, Victor Hyman Cohen, and a salesperson could face a maximum penalty of one year in jail and fines ranging from $1,000 to $40,000. According to San Diego’s city attorney, Mara Elliott, the California Department of Fish and Wildlife opened an investigation earlier this year after learning that two Art Deco pieces in the gallery’s window appeared to contain ivory. A search warrant was issued after authorities bought several pieces verified as ivory from the store over the past few months. The objects were identified with the help of the canine detective Indiana Jones, a German shepherd mix who has been trained to sniff out illegal wildlife products. Elliott hopes that the prosecution “sends a strong message to anyone who sells or is thinking about selling ivory on the black market in San Diego”. She adds, “I will find you and prosecute you to the fullest extent of the law”. California, Nevada, Oregon, Hawaii, New York, New Jersey and Washington are the only US states that entirely prohibit the sale of ivory to deter the slaughter of elephants and other wildlife for their tusks and teeth. The law exempts the sale of musical instruments made before 1975 that contain less than 20% ivory by volume and antiques that contain less than 5% ivory if the object has documentation to prove it is more than 100 years old. Educational institutions are also exempt from the ban. The seizure is the largest made by the California Department of Fish and Wildlife since the ban was passed in 2016. 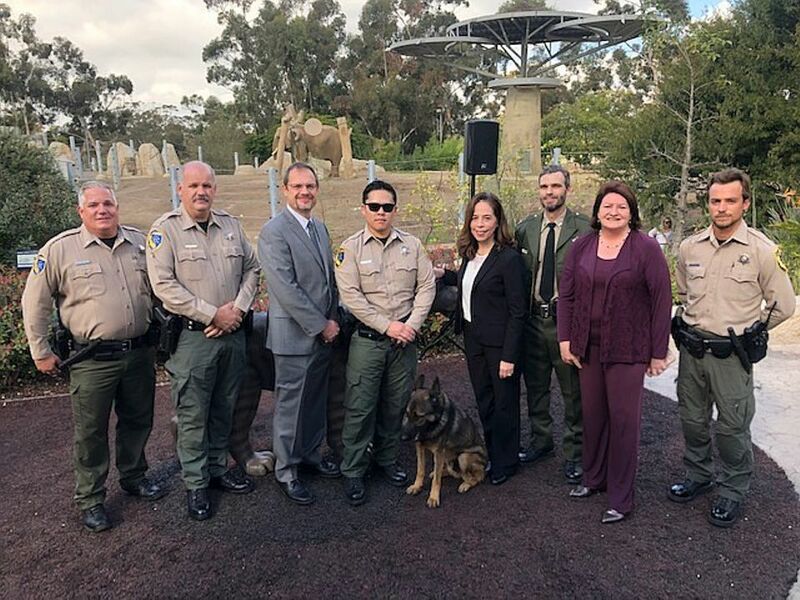 In a news conference at the San Diego Zoo, a department officer, Paul Ton, says that Fish and Wildlife personnel had “visited dozens of businesses, and this business happened to be one where we identified potential violations”.